Last week I was at Chili’s and they have a new margarita, Pineapple Blueberry and I thought the flavors sounded like an interesting combination, so I gave it a try. I found the margarita to be boring in flavors and not much taste. 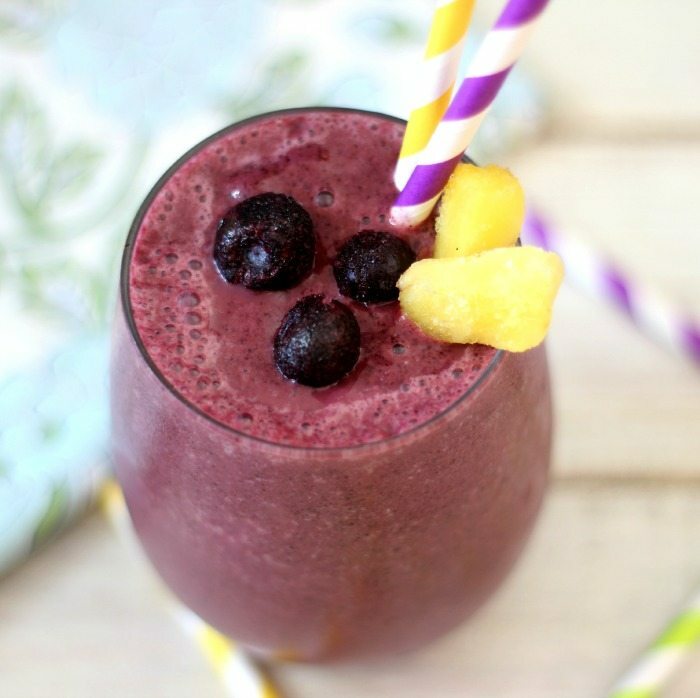 But I liked the idea of combining blueberries with pineapple, so I thought I would give it a try in a smoothie. The smoothie came out amazing. I didn’t need any extra sweetener to it and I simply fell in love with it. 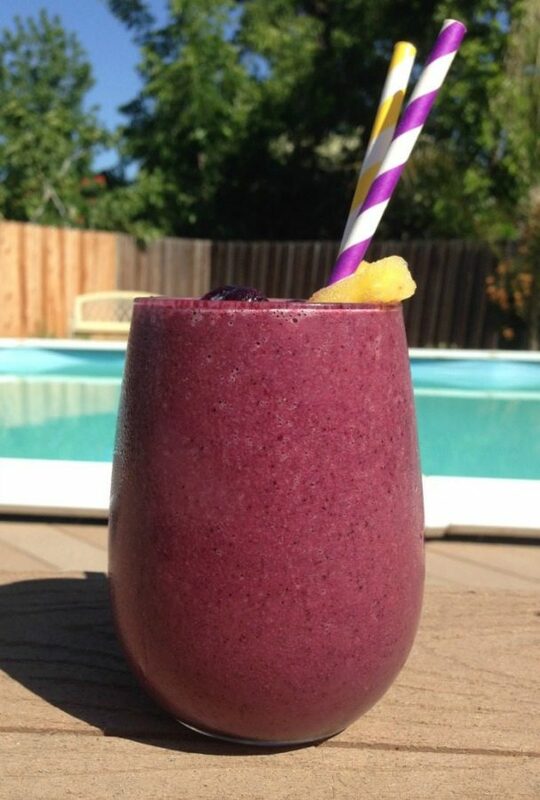 So today I am sharing with you my Pineapple Blueberry Smoothie. 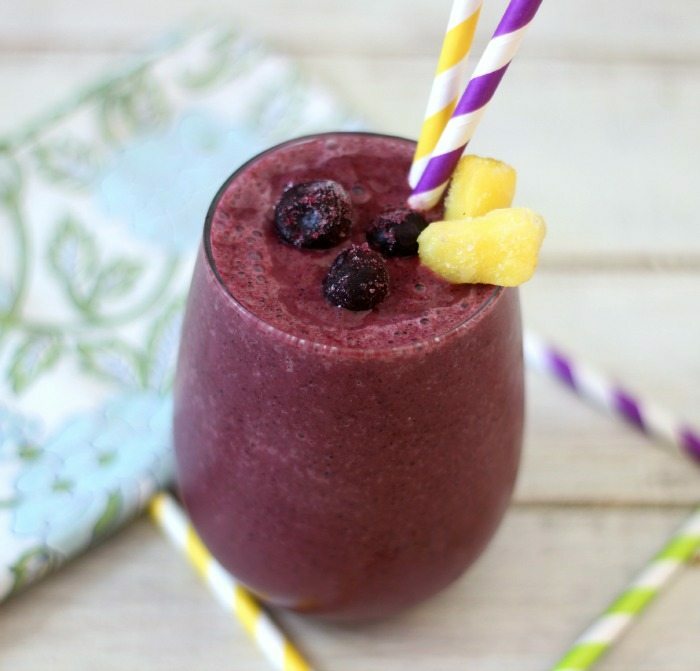 The smoothie is light, refreshing, all natural and because I used unsweetened coconut milk from the carton it is also dairy-free, gluten-free and vegan. I love coconut milk and it’s low in calories, contains healthy fat and it doesn’t have a strong coconut flavor. If you haven’t tried it you should. I used Trader Joe’s brand. It’s located in the isle with the almond milk and soy milk. 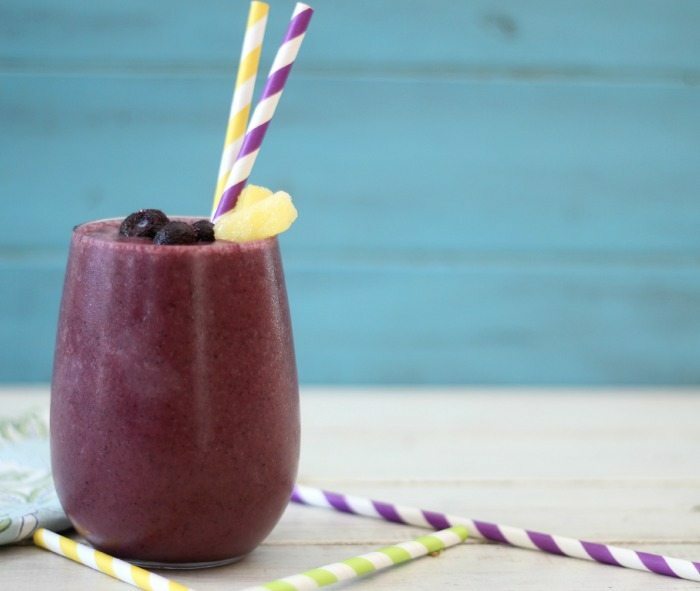 A light, refreshing smoothie made with pineapple and blueberries. It's so sweet you don't need to add any extra sweetener to it. It’s getting pretty toasty outside right now. Time for me to do a little cooking before the heat becomes unbearable. That sounds yummy and so healthy!! I’m growing blueberries and try to have smoothies when I can. Thanks for sharing!